Have you had a chance to read any books in the Harlequin Heartwarming line? They are great clean romance reads. 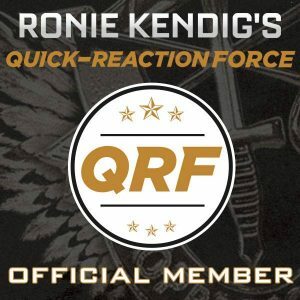 I’ve been introduced to several new authors (a few of whom are banding together to write a series about five brothers who have gone their separate ways but all end up returning to their childhood home in Montana.) Carol Ross kicks off the series with The Rancher’s Twins. Well, after finishing the first book in the Return of the Blackwell Brothers, I’m ready to binge read them all. Unfortunately, I can’t fit them all into my schedule right now—probably works out because they aren’t all out yet, anyway. So instead of my binge read, let’s talk about Carol Ross’s contribution. 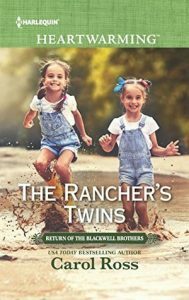 The Rancher’s Twins sets readers up for what’s coming well. We’re introduced to the town, the family ranch, and a few people I’m sure will be making appearances in future books. And seriously, if you want to up the cowboy attraction factor, give the man adorable twin daughters. Girls who are a little wild due to being raised on a ranch but with hearts for girly things too (which we all know that cowboy dad has no clue about, right?). Good thing the new nanny does! There is plenty of tension between Jon Blackwell and Lydia when she arrives. He makes plenty of assumptions about the city-girl based on his past experiences. But Lydia squares her shoulders and proves herself repeatedly until Jon’s distaste for city women is no longer. I can’t wait to meet the rest of the Blackwell clan and find out how the other authors of this series (did I mention each book is written by a different author?) build on the foundation Ross has laid out so well. And I’ve got some guesses of which townspeople just might play a larger role in some of the Blackwell’s lives.